Digital commerce is the fastest-growing channel for prestige beauty sales, as consumers access the brands they covet online, on their smartphones and through social media platforms. This is no less true for Bobbi Brown Cosmetics. With sales in more than 70 countries and 2173 stores, Bobbi Brown Cosmetics is the top makeup artist brand founded by a woman. It’s estimated that 46 Bobbi Brown products are sold each minute, most of them online. 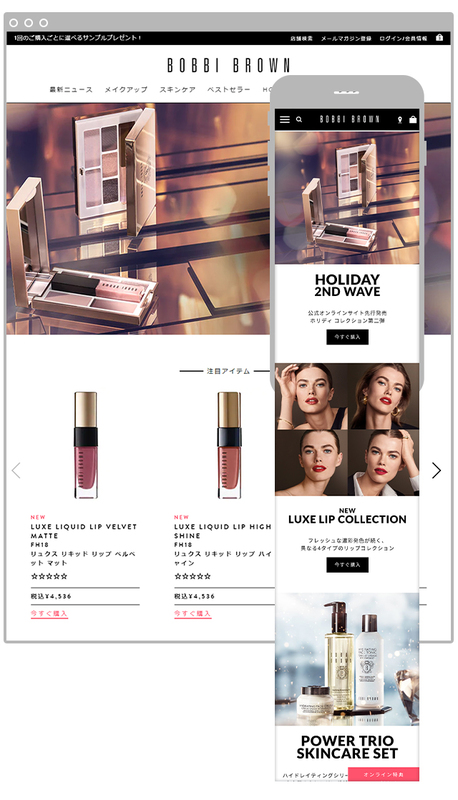 We began working with the Estee Lauder Group Companies in 2016, primarily in the areas of website content development and EC operation. Our mission is to create brand-appropriate, compelling content for their e-commerce websites that convert visits into sales. 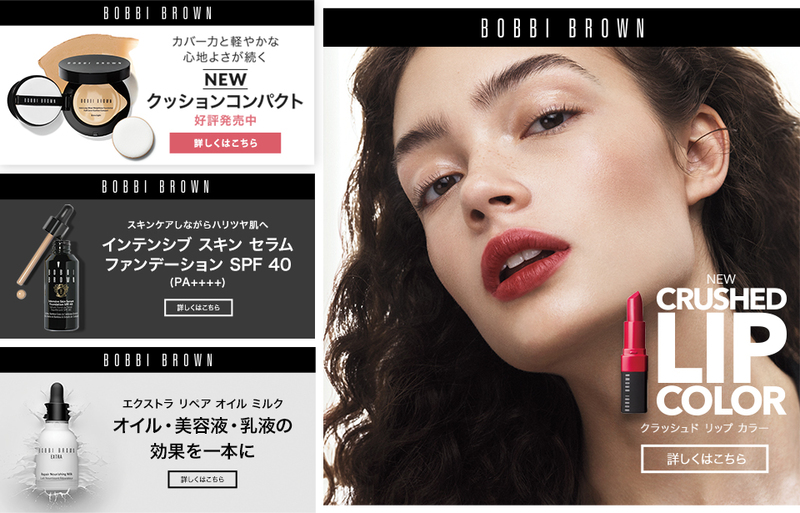 Promotional content, landing pages, banners for the website and display ads are some of the things we create for ELGC brands like Bobbi Brown, Clinique, De La Mer, and others. The primary goal for us is to design beautiful visuals that engage website visitors and drive online sales. Here are some examples of our work.